A wonderful review of the Quareia Magicians Deck…. Thank you Benebell… I know, I am a few months behind…better late than never! 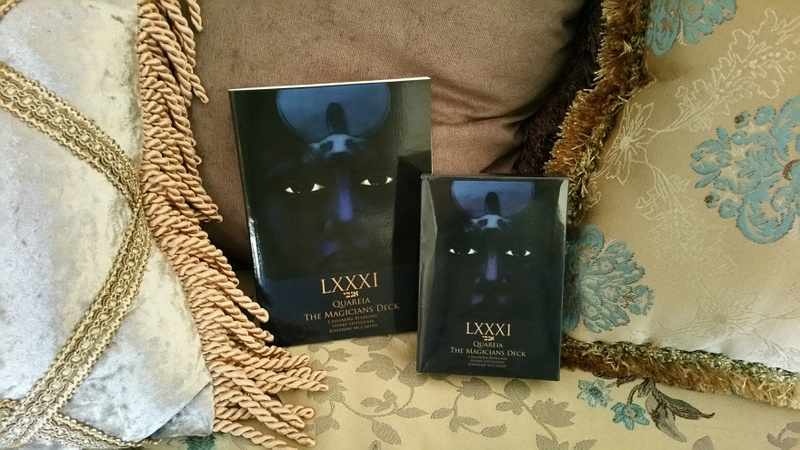 The LXXXI is an 81-card esoteric deck by Josephine McCarthy, Stuart Littlejohn, and Cassandra Beanland. It’s not a tarot deck, though you’ll see cards captioned “Chariot,” “Wheel of Fate,” Hierophant,” “Luna” (Moon), “Sol” (Sun), and “Death.” You’ll see “Fellowship” with imagery that may remind you of the RWS Three of Cups. That is a very concise review, details that I had not yet seen. I am just getting started with this deck, it has been a busy Spring! I have mostly just admired the images and the work that has gone into creating the contacts. But I am ready not to dive in now. Thank you for this incredible work Josie, Stuart and Cassandra, and thank you for the YouTube videos. It was like being in a workshop again. thanks…yes, Benebell’s book is very good and is well worth reading! I too look forward to her book on sigils.